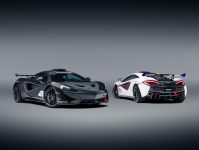 Back in may IWC Schaffhausen announced the appointment of two new prominent ambassadors: Lewis Hamilton and Nico Rosberg of the Mercedes AMG Petronas Formula One Team. 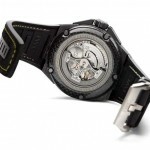 The Swiss watch manufacturer became the Official Engineering Partner to the Mercedes AMG Petronas team earlier this year. Below you is video if a promotion ran by IWC which involved setting up an F1 simulatorin a popup shop in Selfridges and inviting Lewis Hamilton and Ross Brawn to test it out. 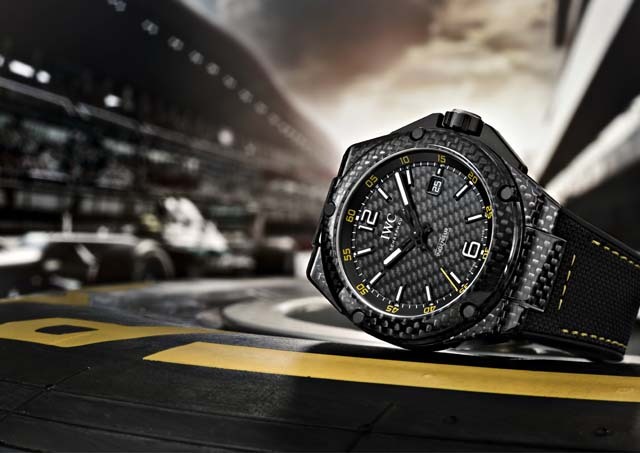 The IWC exhibition at Selfridges celebrates the remodelled 2013 IWC Ingenieur watch collection, as well as the new partnership with the Mercedes AMG PETRONAS Formula One Team. 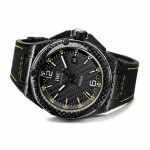 Below is the watch being worn by Lewis in the video. 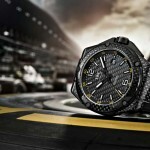 It’s the IWC Ingenieur Automatic Carbon Performance Edition. 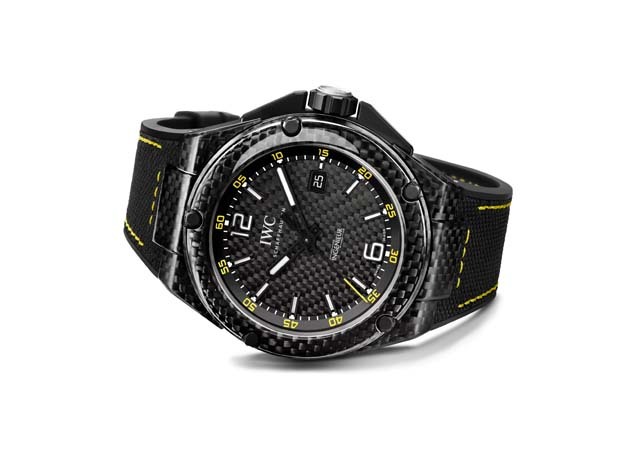 The Carbon fibre watch can be purchased from IWC boutiques for around £17,000. 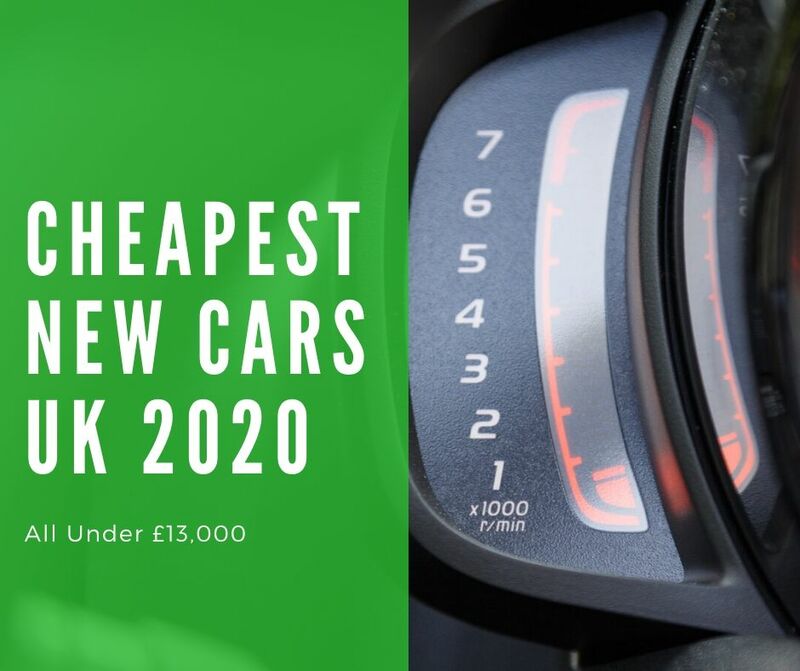 I’m sure Lewis didn’t pay that for his. • Case: Carbon; diameter 46.00 mm; height 14.50 mm ; water resistant to 12 bar (120 metres); sapphire crystal to front and caseback. • Functions: Hours; minutes; central seconds; date. 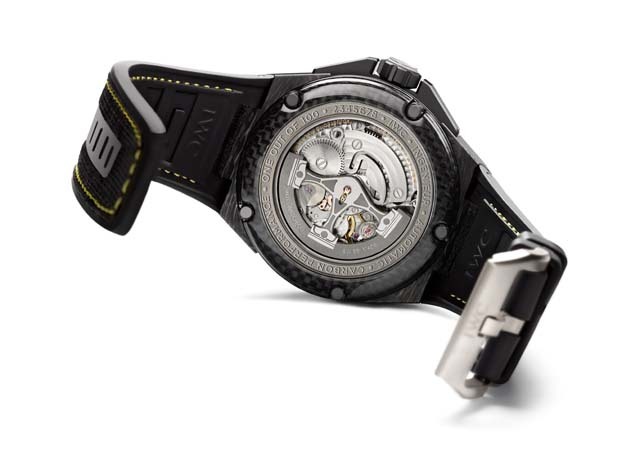 • Movement: Calibre 80110, self-winding; frequency 28,800vph (4Hz); 28 jewels; power reserve 44 hours.